Hey friends! It’s been awhile since I’ve posted! 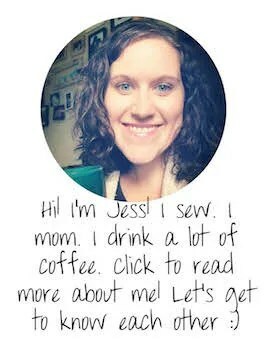 Life has gotten busy, with homeschooling, the craziness of having five kids (and a climbing toddler – oy! ), and all the things of life. 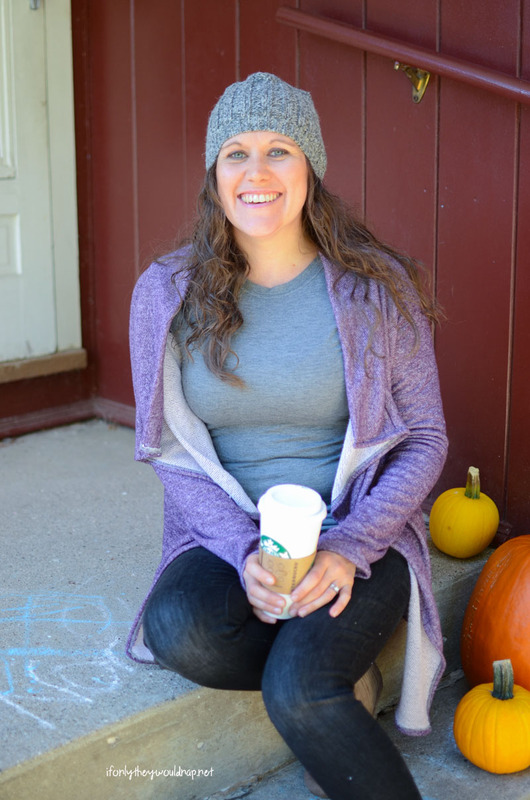 I meant to share this women’s beanie pattern months ago, but blogging and sewing took a back seat to life. 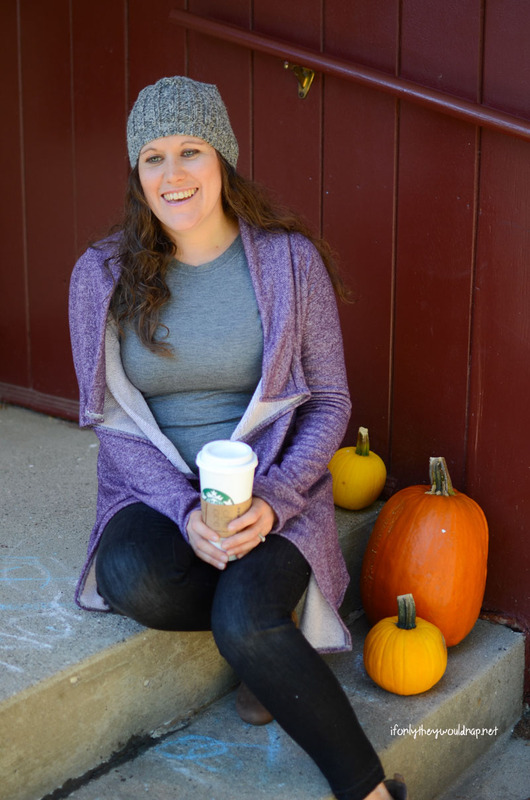 So I’m back with this free knit hat pattern to help you forget my long absence. 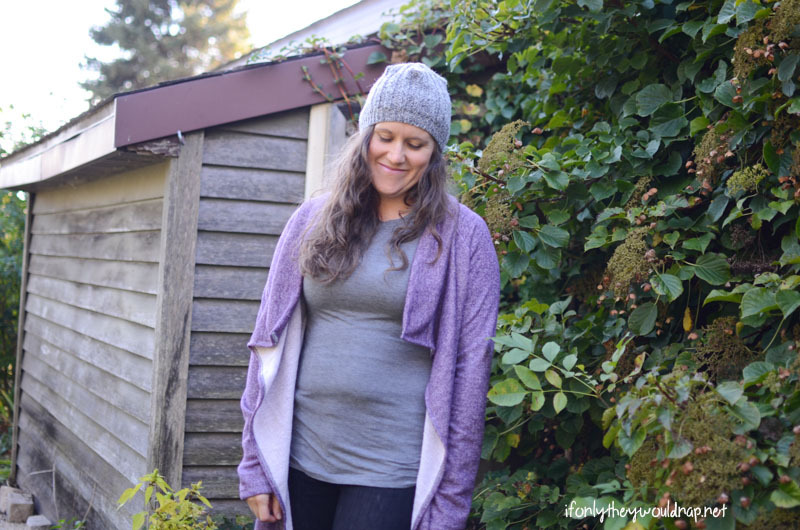 ;) This one is great for upcycling an old or thrifted sweater (like the one in the photo!) or using any knit or french terry fabric. All you need is a scrap of knit or french terry fabric that has good stretch and a sewing machine/serger. A sweater headed for the donation bin is a great way to make this hat look hand knit, even when it isn’t. 1. 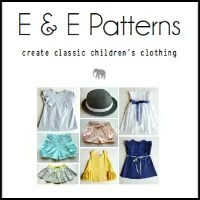 Print out the Free Pattern. Cut on the fold. 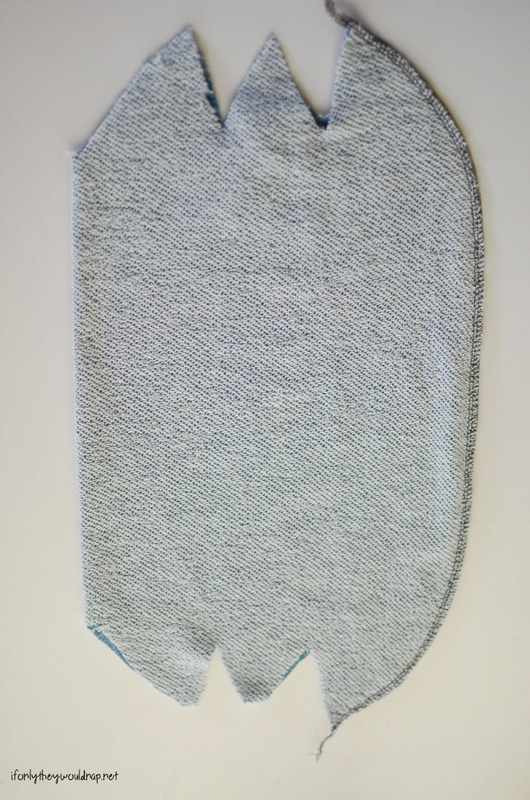 If you are using a sweater, line the pattern up to the bottom edge of the sweater. 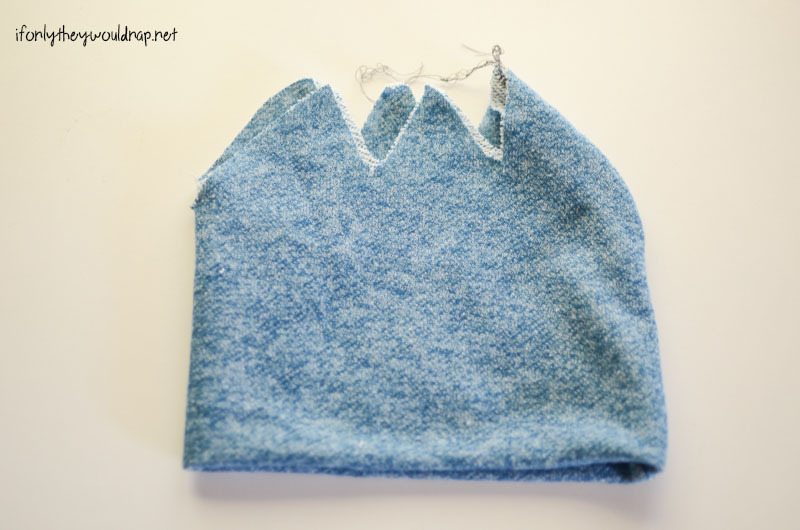 Instead of cutting on the fold, cut two (one from the front of the sweater, one from the back). 2. Unfold the fabric and re-fold as shown below. Sew along the long, curved edge (the new fold should be on the left). 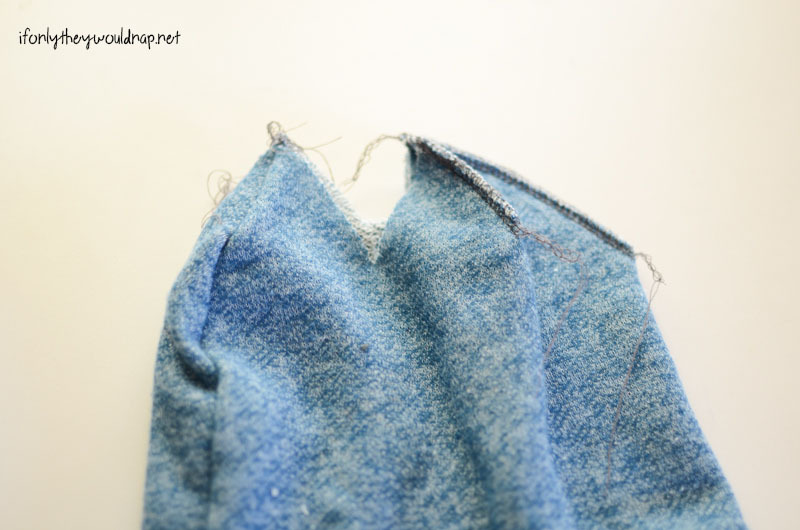 Use a serger or a zig zag stitch. 3. Fold in half, so your seam is inside. 4. Your enclosed seam will be inside now (you can see it in this photo below on the left). 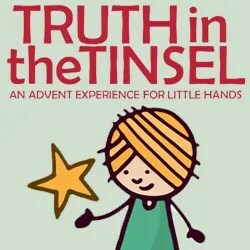 Your hat will be laying flat so that each triangle lines up. 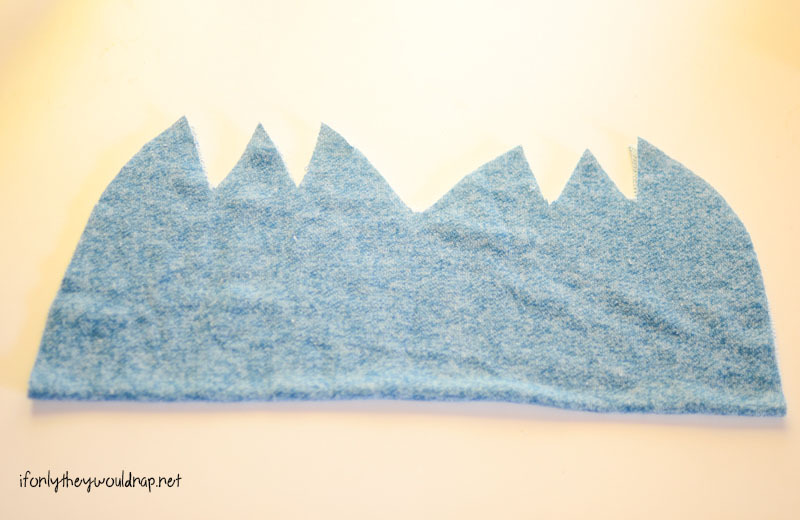 Sew the longest outer edge together as seen below. You’ll have four layers to sew together (unless you are upcycling a sweater). If you’re sewing with a zig zag stitch, make sure that you sew backwards a bit at the ends of your stitches, to secure them in place. 5. Now you will turn the hat and sew the next set of raw edges together. 6. 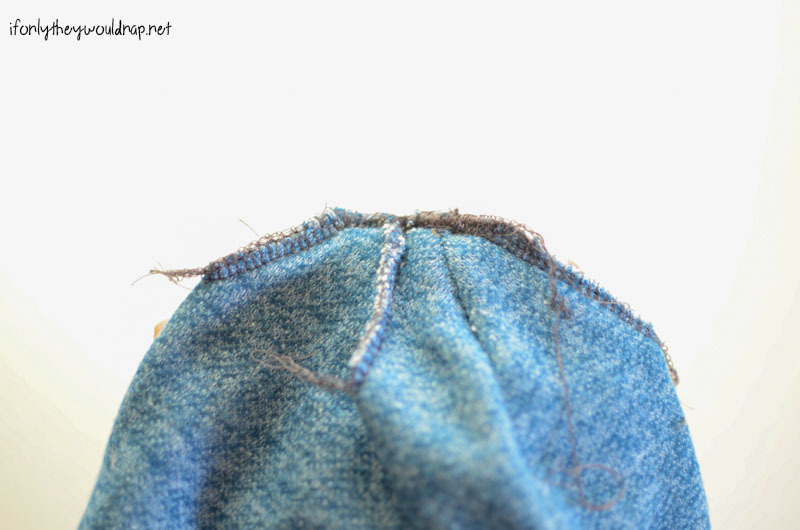 Continue turning the hat and sewing the raw edges together as shown below. 7. 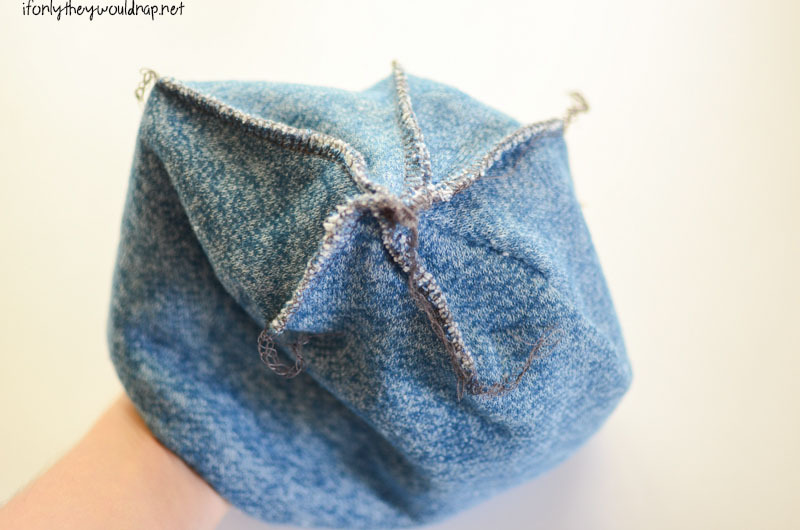 Do this until all raw edges have been sewn together. It should look kind of like a star inside your hat (as seen below). 8. 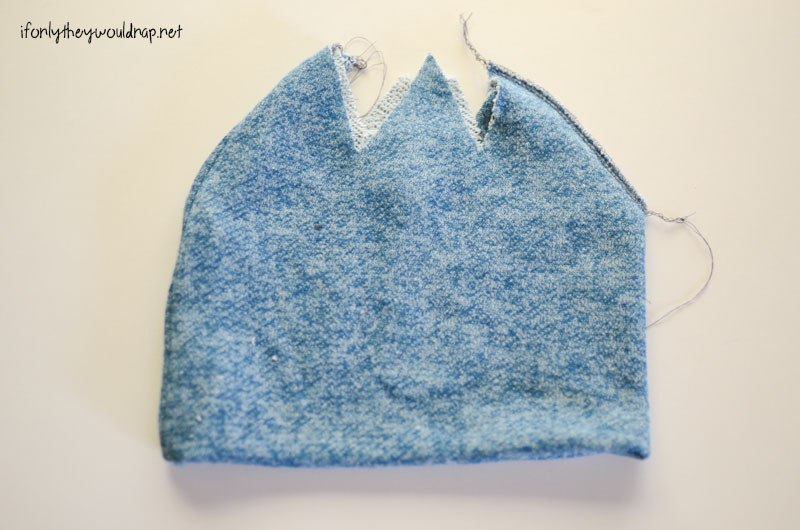 Sew across the top and trim to avoid having a point at the top of your hat. 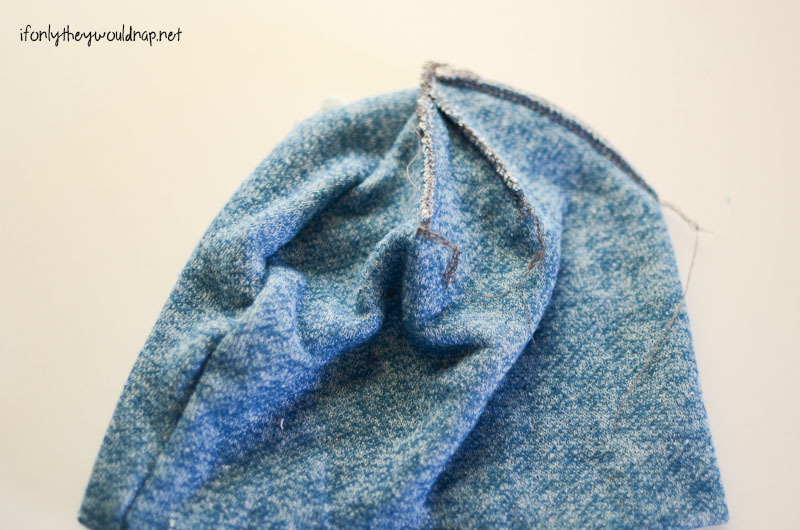 Tie or otherwise secure and serger threads and trim them. 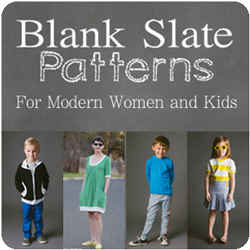 This is a great pattern for using up knit scraps! 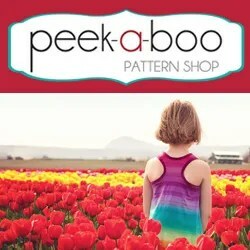 You could also match with your itty bitty and make a matching newborn baby hat! 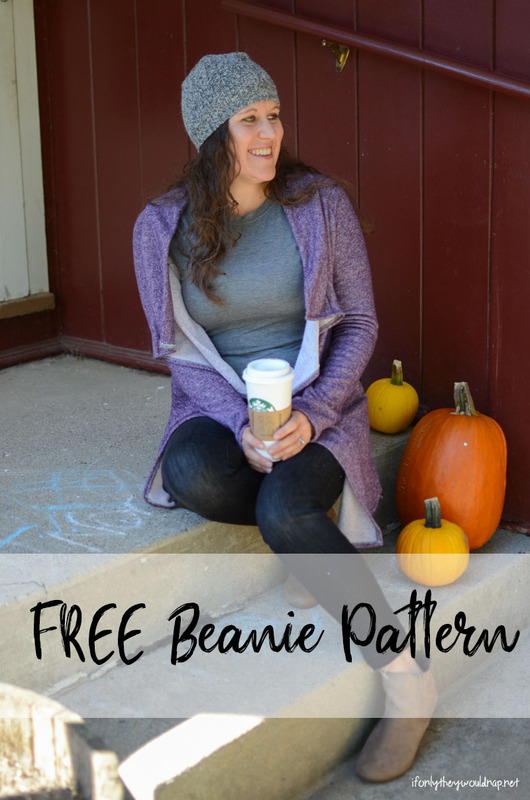 Make sure you download your FREE pattern!